Forward-looking: Most new smart home tech seems to be focused on letting you do normal things without having to get off the couch – turn off the lights, play a song, see who’s at the front door. Traeger has taken a different approach with an update to their smart grill line-up that’s surprisingly appealing. Traeger started rolling out Wi-Fi to their flagship wood-pellet grills in 2017, but with limited features and a starting price of $1,700 it wasn’t surprising that the idea didn’t take off. 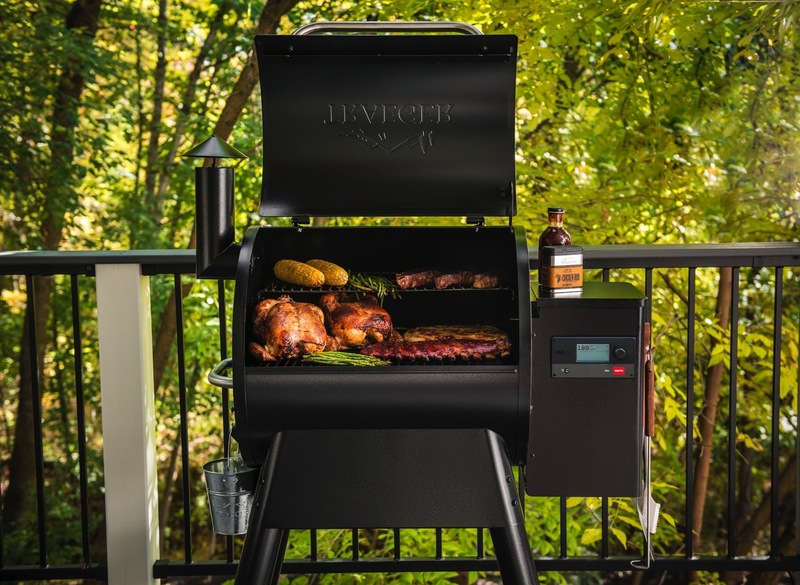 On Friday, however, they lifted the lid on their 2019 line-up that adds an internet connection to grills starting at $799.99. Download the Traeger app and you get access to hundreds of well-thought-out recipes. Once your phone can talk to your grill, however, if you select a recipe it will automatically download to the grill and set the correct temperature and a timer. While the meal is cooking the app lets you monitor and adjust the temperature and will give you notifications when the meal is ready or requires attention, like flipping over a steak. To keep the grilling experience enjoyable, the app will notify you if you’re going to run out of wood pellets before you start grilling. It also has customer support in the form of guides, videos, and manuals. All in all, and this is not something I would expect to say about a smart grill, the Wi-Fi connection (they call it 'WiFire') seems useful. Traeger doesn’t charge any extra for the feature compared to last year’s models. That doesn’t mean they’re not pricey, however. The Pro series start at $799.99 for the 575, the Ironwood series start at $1,199.99 for the 650 and the Timberlake series start at $1,799 for the 850. The name represents the available surface area for grilling in square inches. Across all models, you get features like Direct Drive, which uses a variable speed fan and computing to optimize smoke and temperature adjustments, and Turbo Temp, which detects changes in temperature like opening the grill and adjusts the temperatures accordingly. Premium models include smoke science tech which creates vortexes in certain spots to optimize smokiness, better insulation and a few other knick-knacks. Traeger doesn’t make the cheapest smart grills. Green Mountain, for example, makes a 460 sq in. grill with wireless temperature control for just $599. So while it’s not a recommendation, it must be said that Traeger is innovating when it comes to the Internet of Things. Reviews seem to back them up, too. After all, they build beer holders into the boxes the grill arrives in, so you can knock a few back while you build it. If that’s not genius, I don’t know what is.